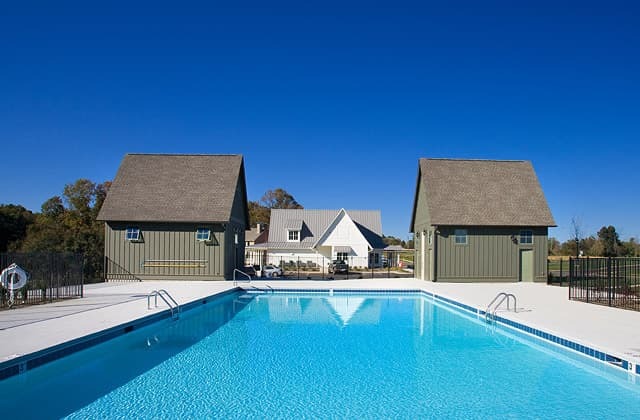 This planned development, built on an old family farm, required a multi-functional clubhouse to serve double-duty as a sales office. The clubhouse includes an office, kitchen, gathering room, and toilet facilities. 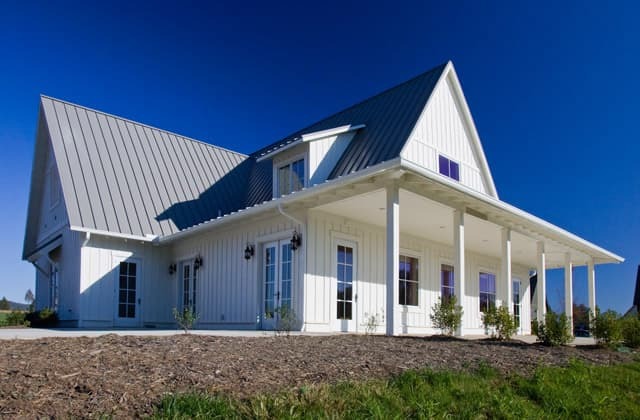 White board-and-batten siding, a steeply pitched grey metal roof, and a pastoral setting lend a farmhouse feel and evoke the site’s history. Two pool houses frame the entrance to the pool area. The same board-and-batten siding is painted a dark green, and paired with the dark brown, similarly pitched roof, they provide cohesive contrast to the clubhouse.